What does a purge valve do? Any case that is waterproof should have a purge valve. It lets air flow freely in & out of the case, but prevents water & dust from entering. A purge valve is important on watertight cases because the atmospheric pressure at different altitudes will cause the pressure inside of the case to be different than the outside. This causes a vacuum & will prevent the case from opening. For example take a plunger and push it down on smooth tile or glass. It will be next to impossible to remove the plunger because you’ve created a vacuum. In essence the atmospheric pressure within the plunger is different than the outside. This concept works the same with cases. In a real life example if you travel from Florida (at 0 ft above sea level) to Iceland (6,920 ft) above sea level your case will most likely break or significantly disfigure without a purge valve. There are two main types of purge valves. 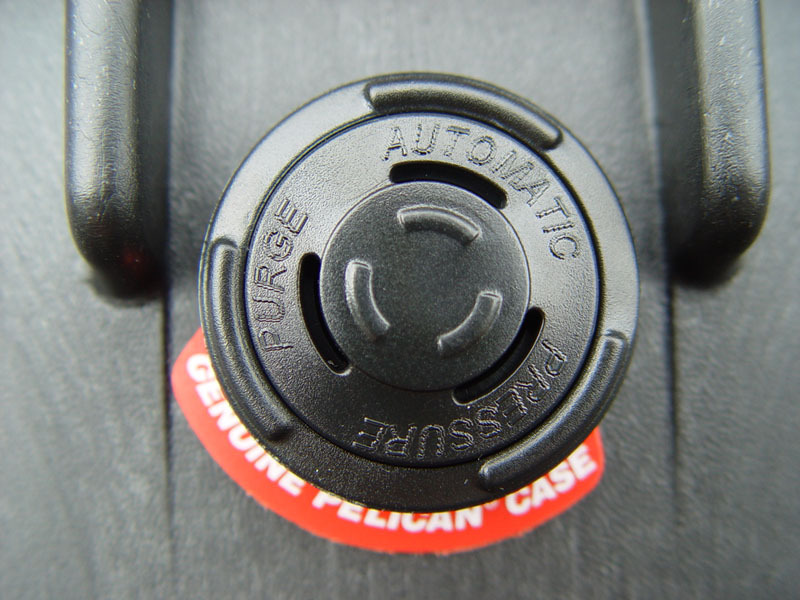 Automatic purge valves found on most cases such as Pelican or SKB & manual purge valves found on lesser known brands. If the purge valve is automatic you don’t have to do anything to make it work as it functions automatically as you travel. Manual purge valves on the other hand usually require you to push a button to release the pressure. Be careful though! If your case has a manual purge valve it could already be disfigured or damaged by the time you reach your destination which defeats the purpose of a purge valve altogether. Finally remember… If someone says a case which has an automatic purge valve (like Pelican or SKB) is airtight they are wrong. The case is not airtight, but rather watertight because as you just learned an airtight purge valve would be pointless! 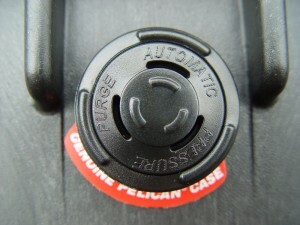 Automatic Purge Valve found on Pelican Cases.